faded will negatively affect the re-sale value of your vehicle. 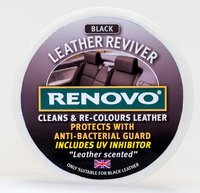 Whilst, well maintained leather upholstery is a significant plus. effective against super-bugs and contains a UV inhibitor. It infuses your car with a leather fragrance too!